Genting has decided to sell its 5.62% stake in The Star Entertainment Group. The Malaysian casino operator has made the decision because there is a talk going around that the Australian casino operator The Star has a union in mind with local rival Crown Resorts. According to a report which was published on Thursday, the Malaysian-listed casino operator has sold its stake in The Star while netting AU$233 million (US$180 million) in the process. Immediately there has been a major movement among the rest of the shareholders. Perpetual Ltd., a local investment group which already holds a 12% stake in The Star has managed to team up with two other investors, which remain unidentified. The newly formed group strives to acquire Genting’s former stake. Back in 2012 two Genting subsidiaries acquired 9.7% of The Star which at the time was better known as Echo Entertainment. This put the stake of the Malaysian casino operator on par with the one held by James Packer’s Crown Ltd. Genting Hong Kong filed papers indicating a purchase of AU$82.5 million shares in Echo. This came as a result of Echo’s announcement that it was looking to raise capital via a share offering. 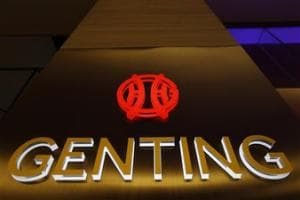 Throughout the years Genting repeatedly changed the percentage of shares it owns and it even jumped from 6.6% to as much as 25% but was met with a prolonged holdup in the approving of the bid. For comparison, when Crown Resorts applied for a similar amount, its request was approved in less than 15 months. Of course, it should be noted that Crown decided to let go of its entire Echo holdings soon after the approval. The explanation of a spokesman for the Independent Liquor and Gaming Authority was that the delay in the approval was due to the significant investments in jurisdictions made by Genting, which required new lines of investigation. The jurisdictions were ones where the Authority has had little previous contact and therefore the regulatory regimen was relatively weak. Echo’s Ceo at that time, Matt Bekier was far from content with the development of the case. Last month, Crown managed to gobble up AU$300 million of its own stock in a matter of three days, which makes analysts think that the company has a major move in the plans. As it could be recalled, the company hit the pause button on its international development projects in the beginning of this year and decided to focus on further developing its domestic operations. This raises speculations that the company might be considering a partnership with its arch rival The Star. If a Crown takeover of The Star in fact happens, this could lead to synergies anywhere between AU$85 million and AU$135 million, while boosting the earnings of Crown by as much as 22%. Robert Johnson is an experienced web author and blogger. 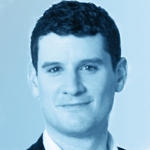 He has over three years of experience as a freelance journalist and writer.